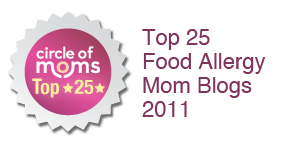 The Nut-Free Mom Blog: Food Allergy News: Beyond a Peanut Allergy Cards Giveaway! Food Allergy News: Beyond a Peanut Allergy Cards Giveaway! As promised, I have another exciting food allergy giveaway for readers of The Nut-Free Mom -- Beyond a Peanut educational flashcards! I've long been a fan of "Beyond a Peanut." These handy, portable cards are the perfect tool for teaching adults and kids about nut allergies. Creator (and friend) Dina Cooper was kind enough to offer this special giveaway just for readers of The Nut-Free Mom. Thanks, Dina, for a great product that I personally use and benefit from. 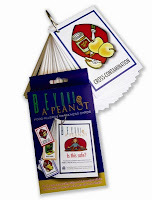 Beyond a Peanut uses a color coded system to teach others about nut allergy safety and pitfalls. Blue cards provide important food allergy safety information. Yellow food allergy cards create awareness around items or situations that can present a danger for someone with food allergies. For example airplanes and bulk foods. Green food allergy cards address foods or situations which are usually considered safe for a child with peanut and tree nut allergies. On the back are examples of situations that can make an environment unsafe or cross-contaminate a usually safe product. Red food allergy cards address foods that have a greater risk for people with nut allergies. 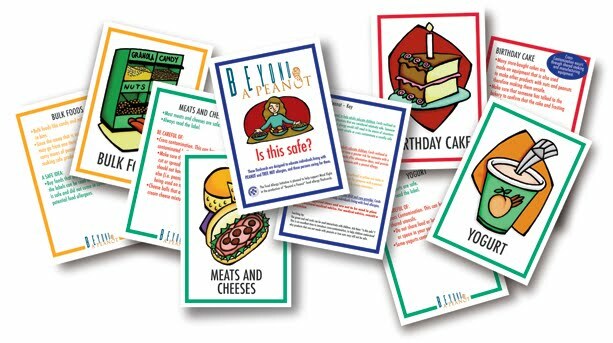 These cards offer alternative ideas and suggestions to ensure the safety of someone with a peanut or tree nut allergy. These are great to share with preschool or elementary school teachers, grandparents, friends, other relatives--anyone who cares for your child with nut allergies. How can you win? Simply post a comment on this blog between now and this Friday, March 11, that shares with us how you currently educate others about your child's food allergies. The winner will be selected by a random drawing and announced next week. Also, don't forget to follow me on Twitter and my new Nut-Free Mom Facebook page for even more food allergy news and support from others dealing with nut allergies. Good luck! I'm looking forward to hearing your stories! I would love to win these, so I can give them to an allergy mom at an upcoming local meeting! I would say that I educate people about my food allergies by asking questions. Everywhere I go, food follows. Whether it's a dinner party, work event, meeting, family get-together, or church social, there's bound to be food involved. 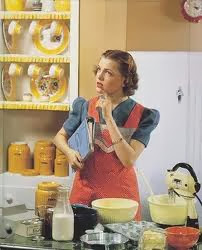 That means that I have to ask questions about the ingredients, preparation practices, etc. and that leads to great opportunities to educate others about food safety. It's not just about temperature, washing hands, and wearing gloves. Food safety is also making sure that those of us with allergies can eat safely! Thanks for the giveaway opportunity, Jenny! What a great idea! In all the explaining of dos and don'ts with new people in my daughter's life, it seems no one wants to completely believe the seriousiness of peanut/tree nut allergies until they see something in writing. A little sad, huh? I recently discovered this blog when a friend shared it on Facebook and I am so thankful for all you're doing! My son had his first taste of real peanut butter (and his first trip to the ER) on 12/23/09. He had an anaphylactic reaction and thus started the process of trying to educate those around us about his dietary needs. Currently, I start by making sure that his grandparents, preschool teacher, Bible study caregivers, etc. know that there is a difference between a peanut and a tree nut and that they know that tree nuts are a group of nuts like cashews, pecans, etc. You would be amazed how many people think a "tree nut" is one type of nut! I also provide sturdy, laminated cards with the signs/symptoms of a reaction and clear, simple instructions for administering his epi-pen if it comes to that. If it is someone who will giving him food often, I provide a list of brands that are GENERALLY "safe" or "unsafe" but also show them two actual labels from similar products so they see that one contains allergens and the other doesn't and they know where to look. I'm excited about the ability to share this blog with friends and family as yet another tool to educate them and keep my little guy safe! I would love the Beyond a Peanut cards to use with my son's preschool class and play group, but even if I don't win, I'm still so thankful to have found you!! I try explaining the importance of reading labels and also keeping food preparation areas clear on any nut products but sometimes the message isn't getting clear to the people that take care of my son. It's super frustrating! I usually use the analogy to give a child chocolate pudding and see how many items get covered with the pudding that day. Peanut butter is sticky and flesh colored and hard to see even when you clean a child's face and hands. Trusting that my son won't get ahold of some second hand peanut butter scares me on a regular basis now that he is in preschool. By the way, the class is scheduled to go to Dairy Queen for a field trip and I have to keep my PA son home that day. I was told I could still bring him and they will just make sure he doesn't get any nuts on his cone. I don't think they understand that just being inside the building is a health risk and I'm not willing to gamble. I currently have a list of "safe" and unsafe foods that I pass out to friends' parents, coaches, teachers, etc. It's not fancy, but it's better than nothing! My wife and I recently created a babysitter online course to help with educating babysitters on food allergies. My wife also wrote a short pocket guide for educators that our school district gives to teachers. Education happens everyday though at any event or place our son goes where food is involved, which is most of course. My daughter is 18 months so we are going to start teaching her soon about what foods are safe for her to eat. I think these cards would be an awesome teaching tool! Our focus now has been educating family and friends. To be honest this hasn't been easy. I frequently send them articles and information from FAAN and have been teaching them how to read labels every chance I get. We are very strict about our food "rules" and have to call out our parents and siblings when they break them. This can be awkward at times, but we are doing it to keep our daughter safe! I am a mom of a three-year old with peanut, treenut and shellfish allergies. Education has been a part of my life, since his diagnosis a little over a year ago. I want and need to have as much information as I can, so I can protect my son, escpecially when he is at school and away from me or my husband. We are constantly educating our family and the schools. He will be transitioning into preschool in a few months and the red flags have been flying. It seems as though many of the preschools understand the dangers of peanuts and yet, do not recognize the danger that other nuts can pose. Some do not even know what a treenut is. So, I am there questioning and educating the directors so that I can try to feel safe when he begins preschool. I know my roll as a mom of a child with life threatening food allergies is to educate his teachers about food allergies and the absolute necessity of carrying the Epi-pen EVERYWHERE he goes! It amazes me how little preschool teachers know about this stuff. I would love to have resources to bring to the school to educate his new teachers about what it means to be "nut free". It is NOT just about not allowing peanut butter in the schools!!! My daughter is allergic to peanuts and we recently got her a medical alert bracelet. It is a great way to help keep her safe and has been a great way to get the conversation started with the people who are around her. We have an opportunity when asked about her bracelet to educate and inform them on how they can help protect her. I am learning more everyday about food allergies. Currently, we just try to explain everything! Its overwhelming for our friends and frustrating for us. We sometimes feel pushy about it and they feel bombarded. I've seen this great allergy cards, but haven't bought any yet! Lots of talking...face to face talking...I find it easier to "get through to them" if I'm talking to them and not their email.....We also let our son explain things to people...he's 4 1/2 and he can tell you exactly what he can't eat and why....I am very proud to know he is capable of handling it at his age! Thanks everybody, for your comments. Please don't post as Anonymous! I won't be able to identify you as a winner. If you already entered as Anonymous, please send me an e-mail with your name (first only is fine for now) and let me know which is your story that is already posted here. I just want to make sure this is all fair and square and that I can find you at the end of the contest. :) Thank you!!! I would ABSOLUTELY love to win these. My son ijust turned 5 so these would be perfect for him to practice with and show his friends about nut allergies. I am a graduate from The Art Institute so I use art and posters to get my point across to people about allergies. I made a packet for my son's school, which they now send hom at the beginning of every school year saying that it is a nut free school and in the packet it has a guide to safe and non-safe foods to bring into school. I have also created a newsletter in the past ans am planning on restarting the newsletter soon. When our family has events we always make sure they person who is doing the food has a list of subsitutions for nuts in there recipes. I cant wait to find out who wins! If it is not me, I hope whoever wins, uses it as much as possible. It will come in handy. I hope I win! Good luck to everyone! I talk to people whenever I get the opportunity. I post links on facebook. For my children's school, I drafted a letter that went out to all of the parents in their class. It explained how serious their allergy is and ask that they follow the "nut free" guidelines we set for their class. I would love to win these cards! I currently educate others by word of mouth and answering any questions they may have, but these cards would be a great addition because they are visual and tangible. Thanks for the giveaway! I educate others by explaining how to recognize an allergic reaction, how best to avoid one and what to do if a reaction occures. I trained my daughters preschool in all of these topics and taught them how to use an epi pen. I also post comments to raise awareness on my FB page all the time. I found your blog through FAAN. Both have been most valuable resources! My three year old started preschool for the first time last September. The school we chose has excellent ratings academically, however when it comes to allergy accommodations, most of the staff including the directors don't really car! We did not realize this issue right away because my sons teacher seemed aware enough especially considering that she has serious allergies herself. The sign for nut free room is posted by the classroom door, but that is where the accommodations end. To date there have been two instances where other children were allowed to consume nuts in nut free rooms.I approached the school about this and other issues and they laughed at me and said that I was being unreasonable and overheating about the seriousness of nut allergies. I felt helpless. However, I decided that the problem here was lack of awareness and education. I was given a misely 10 minutes to do a presentation at a staff meeting. I did the best I could with the materials I got from FAAN website, but I could not afford to purchase placards, which is what I really wanted. I would love fpr each classroom to adopt food allergy awareness into their curriculum. Especially pre k and older. After my presentation, at least 4 teachers came up and thanked le and asked questions. They are even willing to get material for their classrooms. If I win these placards I couldget at least one out of 8 classrooms to use them. Small step, I know. But that is how we change our world, one small step at a time! To prevent cross-contamination, I quote Chef Ming Tsai: "handle all allergens like raw chicken". Everyone understands that. My daughter was just diagnosed today with a Peanut and Tree Nut allergy today. It is all a bit overwhelming. 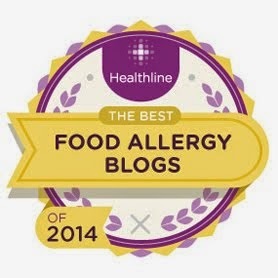 Thank you for having this blog and making this a more manageable and understanding allergy. These cards look like a great tool for myself and my family to use while learning how to adjust to our new normal. Still trying to teach family but educate by teaching them to read labels. Even DH needs reminding about checking labels since he isn't the primary shopper. The cards would help to keep family members educated when I cannot be there with them when they watch my son. Right now I just tell people about my daughter's allergies. Most of the time, they blow me off. I homeschool, so she is with me most of them time and I don't have to worry about the school issues. Thanks for the giveaway. In general, I just try to tell anyone I can. My son has multiple food allergies and its always a subject of conversation with us. For the past 3 years I've helped raise money and gained local support for the FAAN walks. I also have a small (but growing!) Facebook page for local support and information. 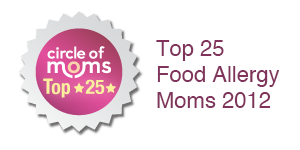 I'm always posting news, advice, fun info, as well as lots of Nut-Free Mom blog posts! I wish I had a good plan when it comes to educating others about my daughter's peanut allergy, but I really don't... It usually involves me saying that she is allergic to peanuts, and then when the other person's eyes glaze over, I say "No - she is REALLY, REALLY allergic to peanuts" - hoping that will help. It's so frustrating! And then when they ask, "So she can't have ANYTHING with peanuts? And not even a little?" I usually grab my daughter and vow to never leave the house again. Just kidding. Sort of. Even after living with my daughter's nut allergy for nine years, I'm still surprised by people who don't know what a "nut allergy" means. So I've got a standard spiel about what constitutes a nut, what an anaphylactic reaction looks like and how serious it is, where nuts are typically found, cross-contamination, and how to administer an epi-pen if needed. I've given this speech a hundred times or more to teachers, parents, daycare workers, and people running extra-curricular activities. These are great! I wish I had them when my son was younger! Don't enter me; my son is now 18. Now I"m dealing with the task of choosing where to send him to college - being an "Allergy Mom" is a life long job!Good luck to everyone else! I seek out opportunities to educate people about food allergies everywhere we go! It's my job to advocate for my daughter, and I try to get family to do the same. I try to remind myself what little I knew or understood about food allergies before my daughter's reaction. I share articles with friends and family, but I'm not certain how much they read. An interactive tool such as these flashcards would help to facilitate education about food allergies. Some people seem to need to see that it's not coming from me, the "over-protective" food allergy mom, but is indeed the way of life for us. Well, we finally went back to Dr. Holderbriech's office. Hope had another skin prick test for peanuts and all tree nuts to see if her reaction was still the same. The good news is that Hope does not have any allergy to tree nuts although if they are processed in a facility with peanuts she could still have a reaction. Her body could also develop an allergy to tree nuts after prolonged exposure in which her body recognizes the enzymes in the tree nuts as a threat and begins building up antibodies against them and therefore begins attacking itself (immune system reaction). After just ten minutes of having her skin pricked with peanuts and 7 different kinds of tree nuts she developed a very large hive (as seen above) where the peanut had been injected into her skin. After a total of 15 minutes (the hive actually grew even larger than what you see above) the nurse came in and measured the total circumference of the hive and the doctor determines her allergy level from there combined with the prior blood work showing her allergy level to peanuts. Hope has a 95% chance of having a serious reaction to peanuts if she ingests them (anaphylaxis); constriction of airways, swelling of your throat that makes it difficult to breathe, a severe drop in blood pressure (shock), rapid pulse, dizziness, light-headedness or loss of consciousness, skin reactions such as hives, redness or swelling, itching or tingling in or around the mouth and throat, digestive problems such as diarrhea, stomach cramps, nausea or vomiting, tightening of the chest and shortness of breath or wheezing. In which case we immediately shot Hope with her Epi Pen Jr and rush her to the ER. Because her allergy is so severe Dr. Holderbriech does not think that she will be likely to outgrow it in her lifetime. We will be heading back to his office next summer to retest. The cards would be extremely useful to me! I would use them to educate my family. They still don't think my daughter's anaphylactic allergy to nuts and peanuts is all that serious. I don't know what other way to explain it. I've used printouts and they witnesses it as my daughter was in ICU for ingesting a peanut cracker from a classmate. This would help me in opening their eyes to the severity of my little girl's allergy. Since we're brand new to peanut allergies, I really don't have all that much information yet to educate others but with time that will change I'm sure. Right now whenever I find something online that I think might help educate my immediate family, I email it along and then we might discuss it. So far my immediate family has been very understanding and supportive in whatever we need to do to keep my daughter safe. I can only hope to encounter people at school etc that are just as supportive - not so sure, but I am hopeful. Thanks for the opportunity to win these allergy cards! I feel like a broken record, explaining my son's food allergies and exactly what avoidance involves. Most family and friends have been supportive and learned along with me, others are less supportive or just in general have a hard time understanding that it's about reading labels every single time. And then how even then you need to know a little something about the manufacturer and how serious it takes allergies and cross contamination issues. I would love to share these with my sons' preschool teacher. She thinks she knows a lot about allergies but she does not. She could use these to educate herself and help keep my son safer and other kids in the future. I forgot to say how I share information about food allergies and I would say it is just sharing and telling as many people as you come in contact with and explaining to them the seriousness of the reactions. There still are many skeptics out there and we need to change their views one mom or dad or grandmother or aunt or friend at a time. These look like a wonderful tool. My grandson's kindergarten teacher and her aide have been wonderful this year. I hope though the years all his teachers will be also, but I would love to have these to show his teacher next year and in years to come. I think the biggest way to get the word out there is talking about it and sharing my daughter's experiences: sharing what foods are/aren't safe, showing how to read labels, telling people about her reactions. It is so important to get the word out there. My daughter was recently diagnosed with allergies to peanuts and shellfish. So far we've just been telling people about it and providing food for her when she visits other people. It would definately be helpful to have something that helps to easily explain the seriousness of this. Thank you! I have created an Anaphylaxis Emergency Plan that goes with us everywhere (inside the emergency kit, along with the EpiPen and puffer). It outlines what the symptoms of a reaction are, how to treat it, who to call, and how to avoid an emergency in the first place. Other than that, it's a LOT of just telling people what she can't eat. And explaining what cross-contamination means. I took a batch of your nut-free granola bars to my son's school and introduced his teacher to Sunbutter. She's now traded out the school's peanut butter stock for sunflower butter. Would love to have these to share with her and the school. I found your blog when I saw an advertisement on my FB page, so I joined! I have a 4 year old son that is severely allergic to eggs & peanuts. He is now at the age where we are considering pre-school, but it terrifies us! We could have sent him this year, but just didn't feel comfortable with it considering the severity of his allergies & noticed just how uneducated others are about the severity & seriousness of these types of allergies. Thank you for starting this site! It has helped me alot already!! Our daughter is the first one in our family, including extended family, to have food allergies so we have taught her aunts, uncles, grandparents, and cousinswhat to watch out for and how to ensure her safety. When she was in daycare, I worked with her teachers and cook on what foods were safeand how to use an epipen. Now that our daughter is in school, we continue to work with those involved in her daily care especially since next year she will attend a school that hasn't dealt with nut allergies. I've also found that we continue to have a lot to learn and often learn from other parents. I would love to win these! My son & I both have PN/TN allergies & we are constantly educating people. We do it by talking & trying to get people to read labels. We bring our own food every where we go & have Dr's notes so that it can be brought into amusement park, movie theaters etc. Food & epi-pens are always on us! My son is only 3, but he knows how to advocate for himself & only eat "safe" food that mommy & daddy have sent or ok'd. I have found that most people are very good about understanding no peanuts but the trouble comes in with cross-contamination. I do my best to explain it to others but still at this age (3) I always double check all food and supply some of my own. Also I try to educate my daughter infront of others so that she can also explain that some food (ie. cookies) are "dangerous"
Hi! I would love to win these cards!!! My 10-month-old son was just diagnosed with peanut & tree-nut allergy about a week ago, so I don't yet have a good way to communicate his needs to family & friends. I'm spending tons of time reading & researching, & even though I'm an RN, I'm still a bit overwhelmed by the task ahead. Finding your blog by chance was really a Godsend, & I thank you for sharing everything about your life this way in order to help others like your daughter!